The 2015/16 Bundesliga season is now at the halfway stage, providing the ideal time to take stock of each club's progress so far. Here, bundesliga.com puts VfB Stuttgart under the microscope. VfB Stuttgart sought a change of direction in the summer, appointing Alexander Zorniger, who had been successful coaching at lower levels, for his first taste of Bundesliga football. He had very much the same tools of his predecessor Huub Stevens and tried to apply different techniques with them, but a string of four straight defeats at home were hardly what he had in mind. Unfortunately for Zorniger, his side never managed to turn the corner and the rot set in, culminating in his dismissal after a 4-1 defeat to Borussia Dortmund on Matchday 14. Jürgen Kramny came in to settle the ship and, with a win over VfL Wolfsburg on Matchday 17, Stuttgart head into 2016 out of the relegation zone. On top of that, they have a DFB Cup quarter-final to look forward to. 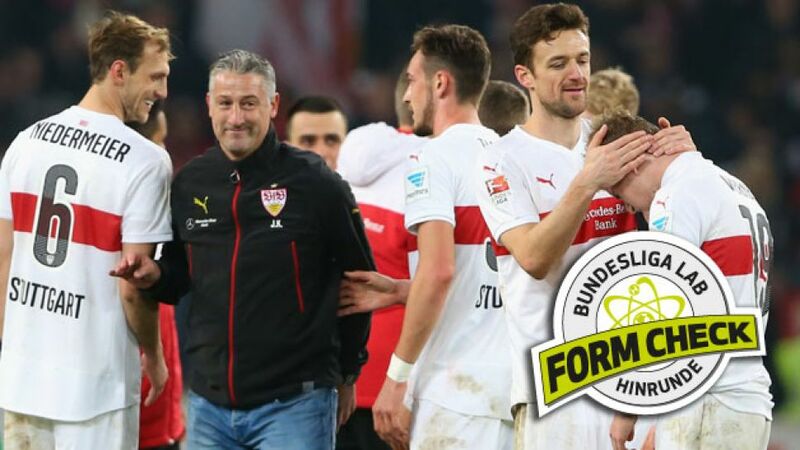 Stuttgart have scored the most goals (22) of sides in the bottom half of the table.VfB have had the most shots following counter-attacks this season (26).The Swabians have caught opposition players offside more often than any other team (69 time). Follow Stuttgart's season so far in our interactive table here. Click on the + symbol on the right-hand side of Stuttgart's position to reveal all the statistics of their season. Stuttgart saved the best until last, upsetting the odds by sending VfL Wolfsburg to a 3-1 defeat on Matchday 17 with some of their best football of the season. Take a closer look in this video.